Wow. This series just gets better and better. I still think that Scarlet is my favorite book of the series overall, but the characterizations in Cress go above and beyond what I ever expected from this series. 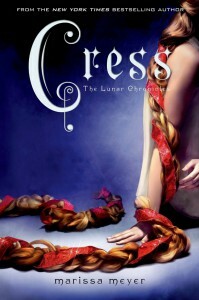 I've heard complaints from reviewers that didn't like the character of Cress, and I just don't agree at all. Perhaps it's because I see a lot of myself in her (growing up as an only child and spending quite a bit of it isolated and sheltered), but I thought she was wonderful. Naive, lonely, and eccentric, yes, but also incredibly brave and determined. She was exactly the character she should have been after all she went through. And Thorne? OMG, he just gets better and better. He spends a large portion of this book having to depend on others to get by (I will not tell you why--spoilers), and I think he learns a lot about himself in the process because it is not something he deals with well. He's still the effervescent badass he always has been, it's just that the author decides to add a new dimension to his personality that I absolutely loved. It's hard to write a book review for the third book in a series without spoiling things, so I will keep this short. The writing is as excellent as it always has been. I am a HUGE fan of the way Meyer puts words down on a page. 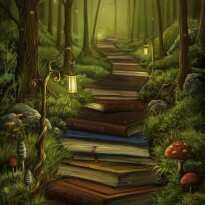 They flow well, the imagery is fantastic, and there are very few authors that can tell a story with this type of skill. The book is 550 pages long, and yet it is a quick read, a page turner, and practically impossible to put down. At least for me it was. The story is continued and ended in a way that was completely satisfying to me as a reader. It's not a cliffhanger per se, but it did leave me wanting Winter immediately. Alas, I have to wait a fairly long time, and the worst part of it is, there are no ARCs. WAHHHHHH HAAAAAH HAAAAAH. Seriously. Bloggers have to wait for the release date just like everyone else. There are some awful and heartbreaking things that happen in this book. I just have to warn you about that. There are also some disturbing images, but I have to give the author major accolades for being as daring as she was with the things she did. So vague, I know. But you are just going to have to read it and find out. And this is where I will leave you. I highly recommend Cress. The impression I am getting is that this is the favorite book in the series thus far for many bloggers. I liked Scarlet a little more for its breakneck pacing and excitement, but that doesn't mean it isn't in Cress. I just think Cress focuses a little more on the characters, which was fine by me, because once again, I LOVE CRESS AND THORNE. I SHIP IT. I SHIP IT FIERCELY. Though I do kind of want Thorne for myself.